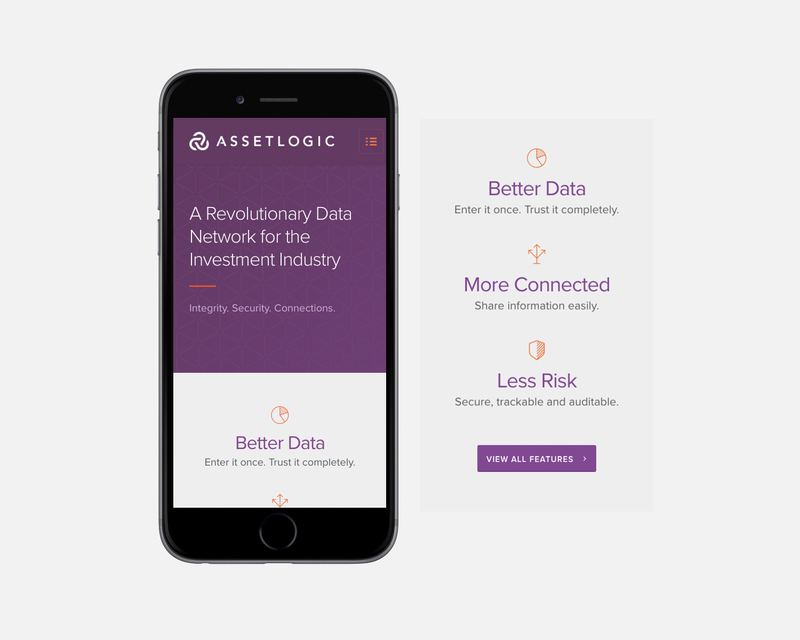 With the relaunch of its software UI and following recent investment funding, Asset Logic’s issue was that it simply wasn’t promoting itself accurately. 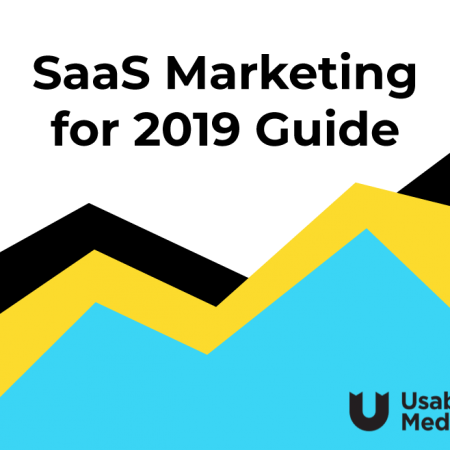 It had a website that featured broad messaging and no specific audiences or sales funnels. 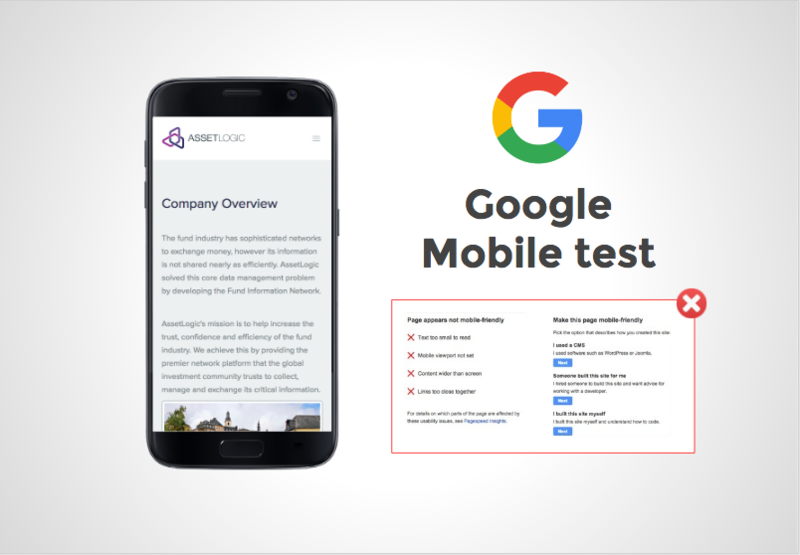 The site was also difficult to update and failed Google’s Mobile Test. 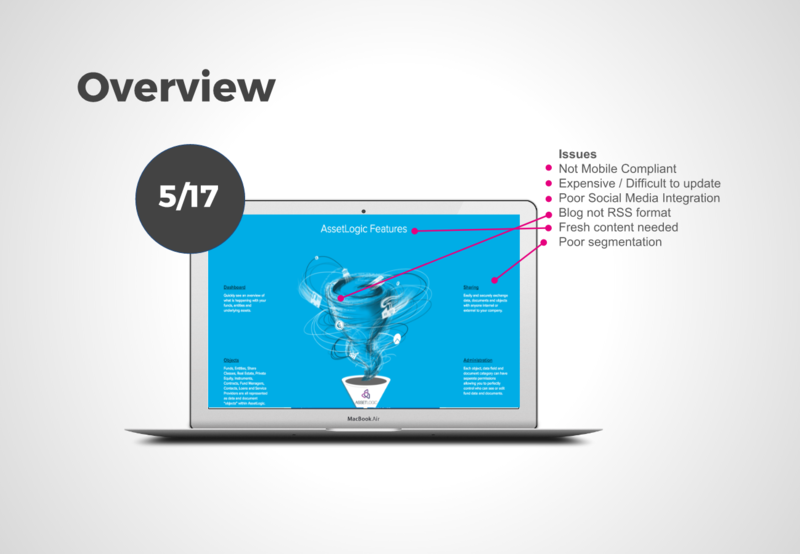 These issues combined meant Asset Logic were unable to launch appropriate campaigns targeted at specific keyword phrases, industries or areas of their CRM database. In order to run effective online marketing campaigns for Asset Logic we needed address these points – so a new fully mobile responsive website was proposed and agreed. Overhaul of both the brand, website and softwareThe journey began when Usable Media recommended the services of its highly experienced UX design team. Their job was to first analyse and overhaul how the software was being used through a series of usability workshops, client interviews and close consultancy with the development team. Through this process, they identified several areas for improvement and set about creating an easier to use software interface (UI). Created an SEO-compliant structure for a new easy-to-update websiteIt was important to communicate benefits of the new software, it’s important features and 5* reviews for ease-of-use. 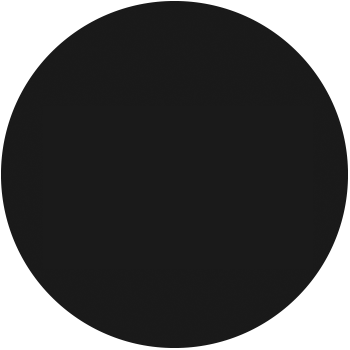 The new website would have a comprehensive knowledge-base at its centre and the content would compliment this. Fresh 5* reviews and testimonials would be added to relevant sections, along with simplified ‘how to use’ sections with screenshots – designed to assist with onboarding future members. 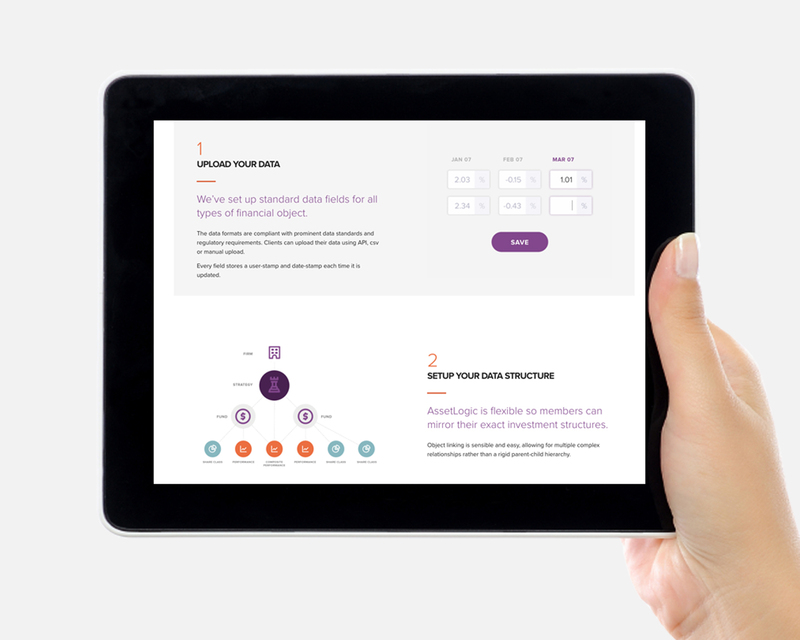 This was captured in a dynamic and interactive prototype, which the client was able to test and review, before signing off.Turning consultancy into rapid implementationWith the prototype signed-off, copywriter briefed we began designing desktop and mobile versions of key pages for the new site. During this process, our photographer Justin was brought in to capture images of the new executive team and stunning, newly acquired premises. In just 6 weeks we had the first pilot website up and running. Over the course of the next 6-weeks, we added new imagery, data to the knowledge-base, screenshots and refined content ready for launch. Asset Logic has been able to quickly launch a high quality mobile responsive website with a clear set of features communicated to key audience personas. The website which has been built on Usable Media’s highly rated platform is now easy to update, facilitating an ongoing content strategy and paid ad-campaigns. A comprehensive analysis of the current situation gave a clear indication of the highest impact changes needed. 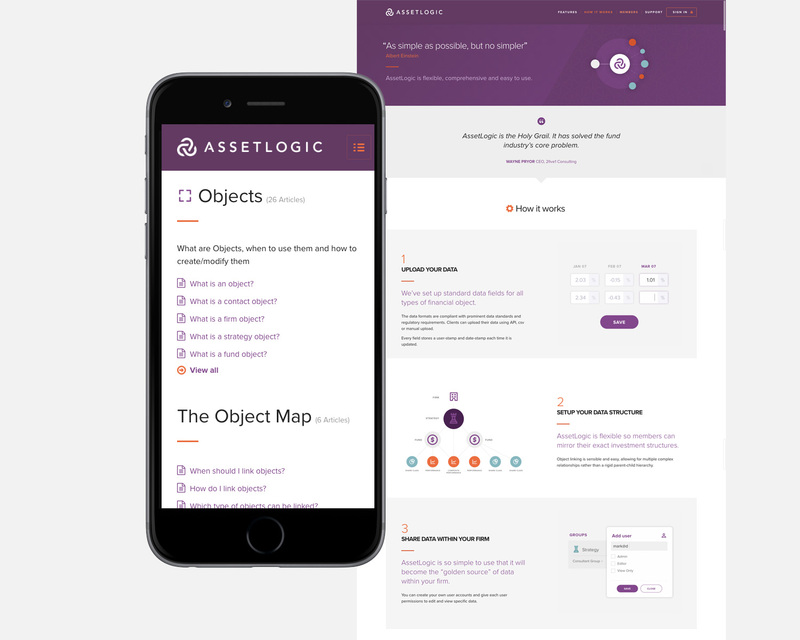 A tightly managed process, including prototype, enabled us to build a best-practice, mobile responsive website for Asset Logic. The statistics for Asset Logic’s website are already showing performance enhancements from Page size and page speed. 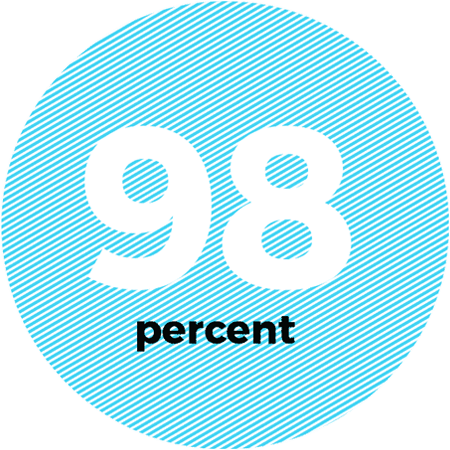 We expect to see Results showing in SERP’s – providing a higher volume of leads.